I’ve been using the Berghaus Stormcloud for a while now, and it’s proved to be a great bit of kit. 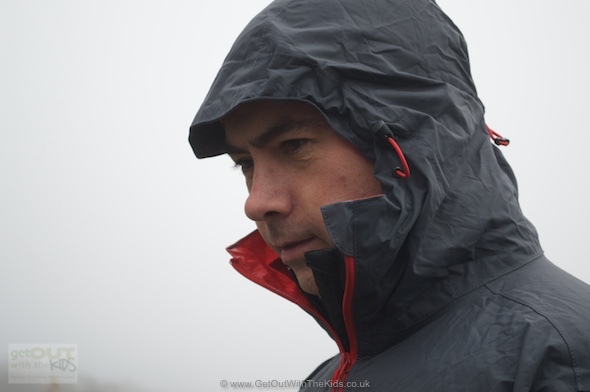 A great packable, waterproof, and breathable jacket. We review a lot of kids gear on this website, after all, we want you to enjoy getting outdoors, and making sure the kids are warm and dry goes a long way to having fun outside. One piece of kit I’ve been particularly pleased with this year has been the Berghaus Stormcloud jacket. 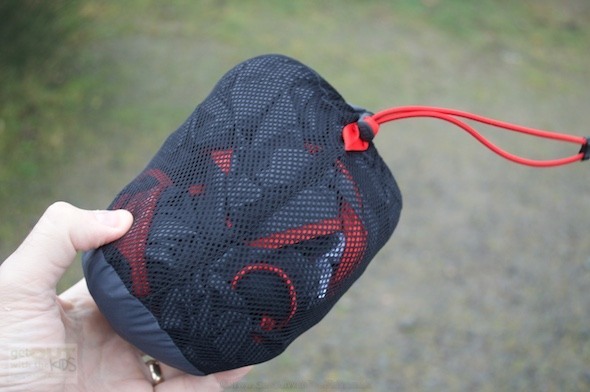 The Berghaus stormcloud jacket packs away into this little stuff sack. I bought the Berghaus Stormcloud jacket as I needed something to keep the wind and rain off, especially when I wasn’t expecting there to be any wind and rain! In other words, I wanted a jacket that could pack down well into my bag, and easily pop on when needed. 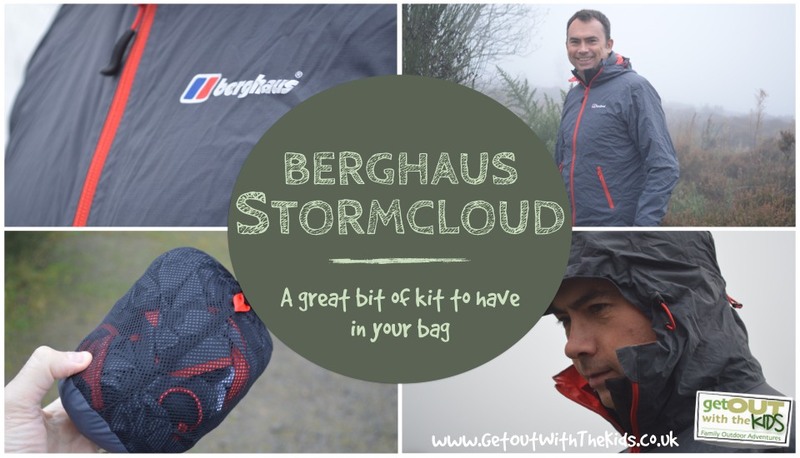 The Berghaus Stormcloud fits the bill there and packs down into a small stuff sack. I’ve stuffed it, got it out, and re-stuffed it many times, and the jacket still performs well. Now I do have a packable raincoat already, which is now permanently in the car for emergencies. The problem is, my current packable mac isn’t breathable, so after a few minutes of using it on the hills, I get almost as damp under the jacket as any rain it is supposed to protect me from. The Berghaus Stormcloud is breathable, which makes such a difference. It is also coated for water resistance, but I must say, this jacket is also great at keeping the wind out, with its velcro cuffs and elasticated waist. It makes a great outer shell. The hood is adjustable to make sure it fits your head well and has a peak to help the rain to run off. Another thing worth mentioning is the hood. This is fully adjustable to make it fit your head well (I can’t stand it when the hood covers my face). It also has a slight peak to keep the rain from running down your face. A breathable jacket that will keep the rain and wind off, but small enough to stow in your bag. The Stormcloud is not an insulated jacket. If you want a packable coat with a bit of insulation then have a look at the Craghoppers Compresslite.